To make the chocolate layer, begin by mixing the whey, cacao and stevia. Add water and mix to combine. 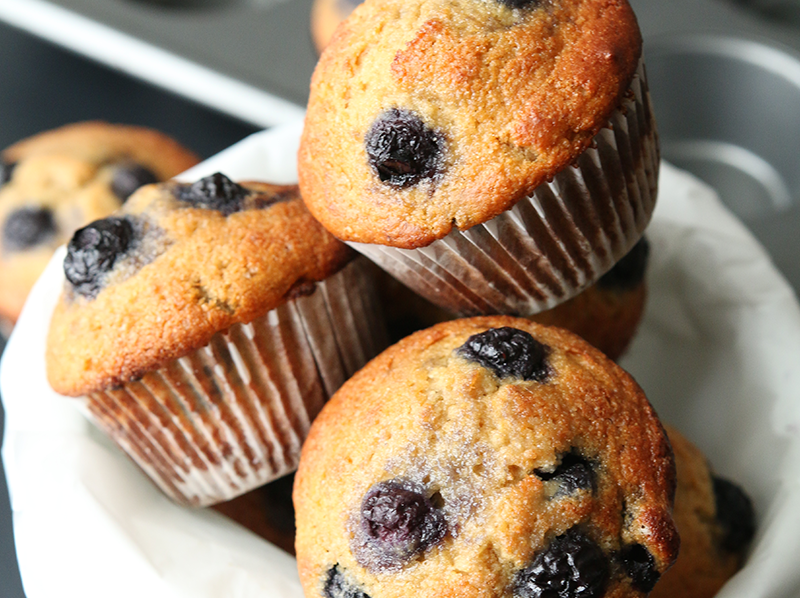 Add cashew butter and mix well. Spoon and press into silicone (or parchment-lined) loaf pan. Set aside. Mix vanilla whey with stevia. Add water and creamed coconut and mix well. Spoon and press into pan. Set pan in freezer for several hours until the fudge peels cleanly from the silicone or parchment. Remove from pan and cut into 18 squares. 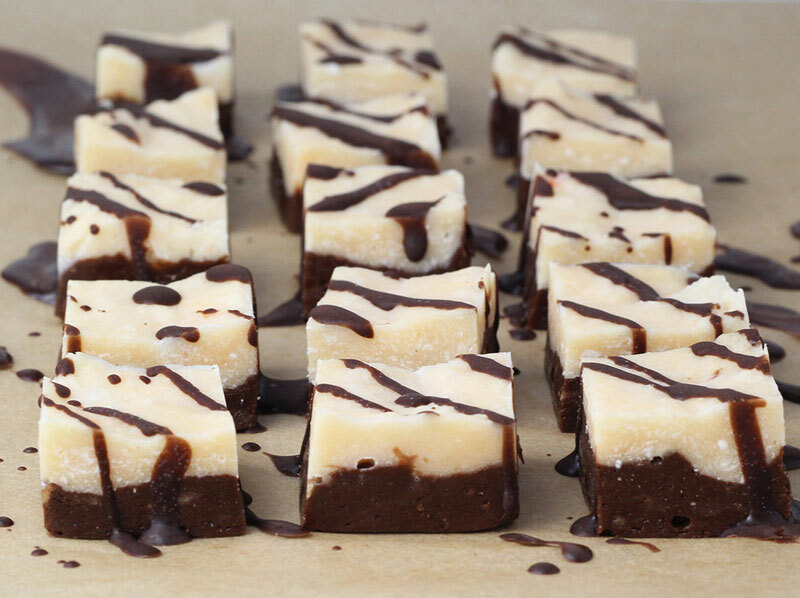 Mix raw chocolate coating and drizzle onto fudge. Place back in freezer to set the chocolate, if needed. Enjoy! Store tightly wrapped in the freezer. Double Layer Protein Fudge recipe and photo courtesy of Andréa's Protein Cakery, www.proteincakery.com. 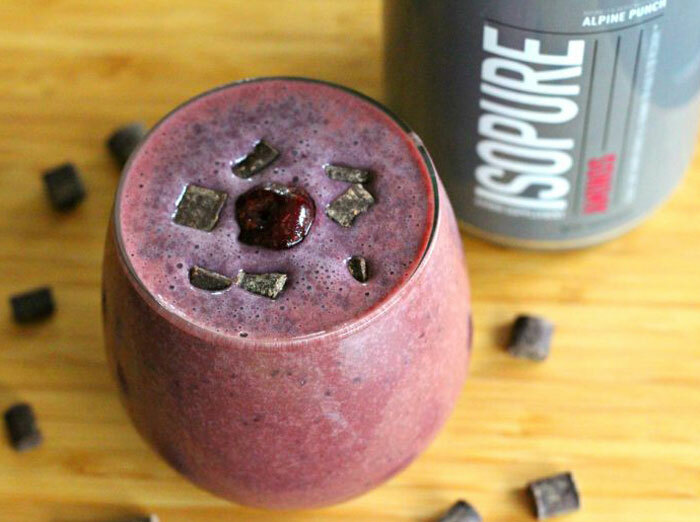 This Black Forrest This Black Forrest Post Workout Smoothie tastes just like dessert and hits the spot after a grueling sweat sesh.